Remove the hydraulic brake booster before the inspection (See page ). (a) Using a screwdriver, remove the 2 plugs from the hydraulic brake booster (See page ). 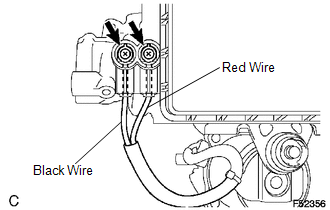 (b) Check the tightening torque of 2 screws which fasten the wire harness connecting hydraulic brake booster and brake booster pump (See page ). (a) Using a screwdriver, remove the 2 screws and pull the wire harness from the hydraulic brake booster. (b) Measure the resistance between the red wire (MT+) and black wire (MT-). 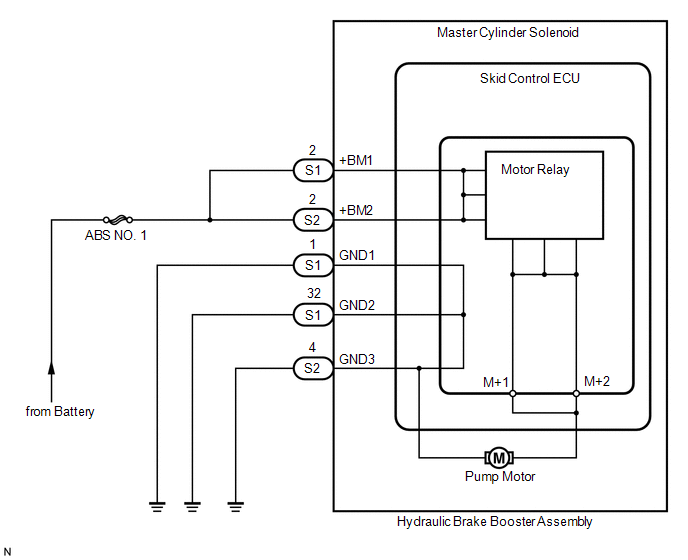 (a) Reassemble the hydraulic brake booster, then reinstall the hydraulic brake booster. (c) Check if the same DTCs are detected.